PayAttitude is a fast, seamless, and contactless payment device. It works based on Near Field Communication (NFC) technology. It comes as an adhesive tag that is attached to the mobile phones of customers which automatically turns the mobile phone into a payment device that can be used to pay for items at at any PayAttitude enabled POS terminal in any shop. 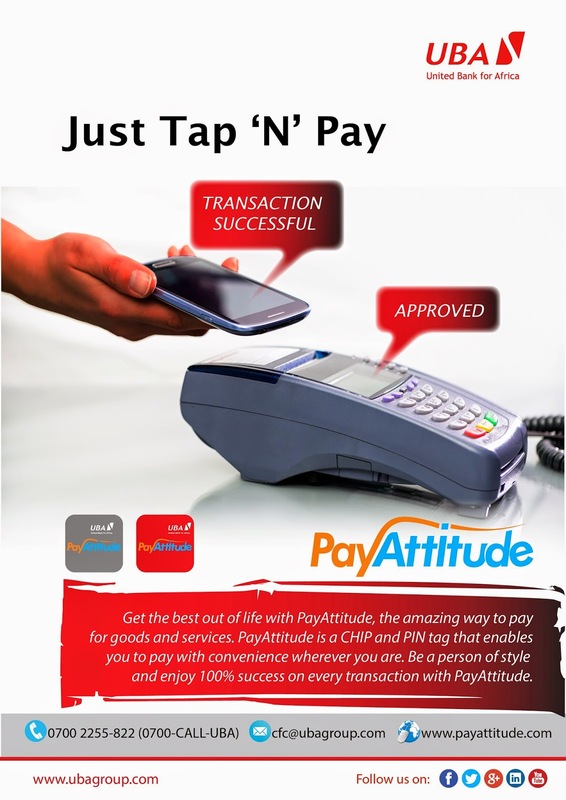 Making payments with PayAttitude is as easy as tapping the phone against a PoS terminal. Highly convenient for retail transactions, it perfectly suits the lifestyle of mobile phone users. A major benefit of the new payment solution is that all payments are always 100% successful with or without network connectivity, thereby eliminating the issue of “declined” payments on POS terminals. It thus guarantees subscribers the confidence and comfort of always being able to pay for goods and services at merchant locations at all times notwithstanding network challenges. 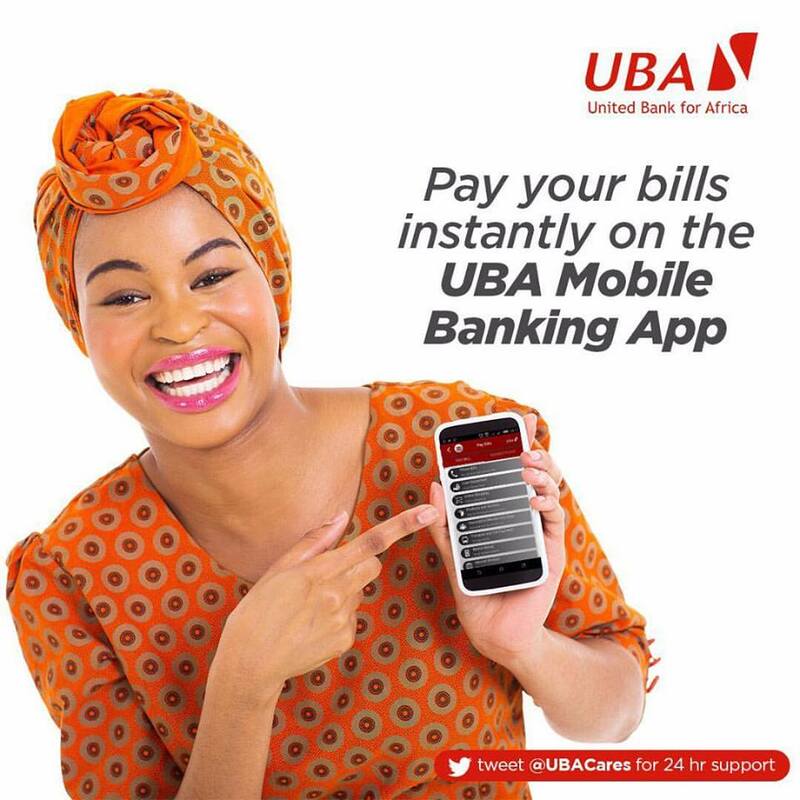 This innovative payment solution is coming after UBA recently upgraded its IT system to a more efficient, secure and faster banking platform enhancing the speed of the bank’s e-platforms including; internet banking, mobile banking and also greatly improving the uptime and availability of its e-Channels like the POS machines and ATMs. The new payment solution “PayAttitude” synchs perfectly with the bank’s upgraded banking platform delivering superior banking experience to UBA customers across Africa as well as with advanced security and compliance framework which will result in significant improvement in productivity and improved response to security and regulatory issues. As a highly diversified financial services provider and leading provider of innovative e-banking solutions across Africa, UBA is one of the largest financial institutions in Africa, with offices in New York, London and Paris. The UBA Group has strong retail penetration across the African continent with more than 8 million customers. These customers enjoy a bouquet of products and services tailored to meet their different financial needs backed by cutting edge technology that offers secured and convenient real-time online banking services. wao so interesting but i hope no any effect ? I've seen this post before. But I don't remember which sites I've seen. Hope it's not a problem for you. Research paper is a complicated and long-term task. Follow this link to know how it should be written!